William Quincy Belle: John Green: Why Are American Health Care Costs So High? Wow. John Green and his brother Hank are busy boys indeed. Mr. Green is an author (His January 2012 book The Fault in Our Stars reached number one on a New York Times Best Seller list.) and with his brother release videos in their YouTube channel covering all sorts of topics. Rather than blog, they vlog. I ran across the following video the other day about American health care costs. Isn't everybody still debating this? - Geesh, how many times have the Republicans tabled a bill to repeal Obamacare? They are never going to give up. - When I reposted this video, I added that you Americans are f**ked. You have the right to bear arms (I question that interpretation of the second amendment) but you do not have the right to be healthy. Yes, think about that one for a second. The GOP says that Obamacare is going to bankrupt the nation but the U.S. costs for health care are astronomical in comparison with other countries. The status quo is going to bankrupt the nation. You never should have left the health of the citizens in the hands of private industry. Like other services, roads, electricity, food stamps, welfare, etc., health care should have always been the jurisdiction of government, something the collective we provides all of its citizens. United we stand, divided we fall. United we're healthy, divided we're sick. 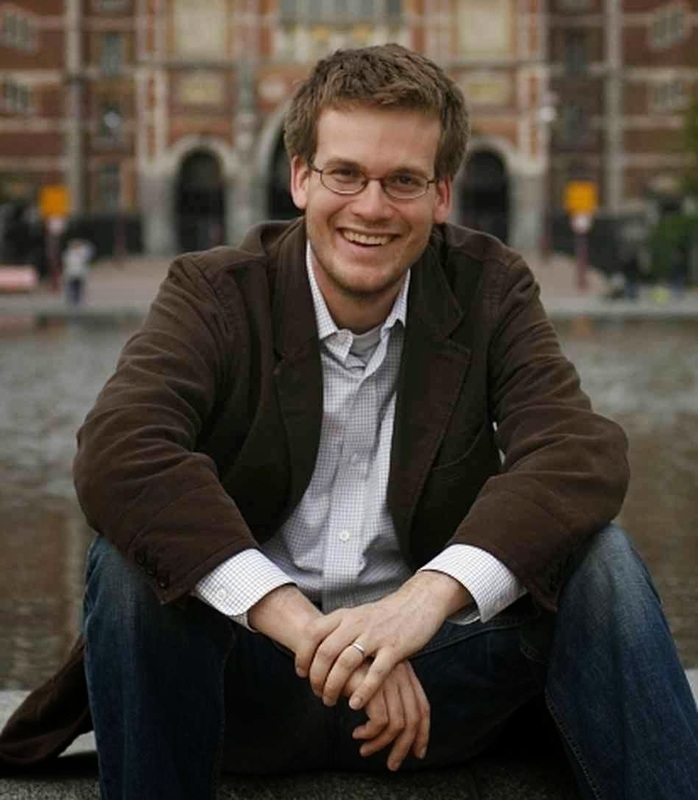 John Green (almost) raps through a number of startling statistics, the sources of which he has documented in the notes for the video. These stats have been detailed before and seem so incredible, it's no wonder anybody is not incredulous upon hearing them. How could this be true? It is completely against everything anyone would believe. Is this just not more liberal B.S.? But one source, Aaron Carroll, associate professor of Pediatrics and health services researcher at Indiana University School of Medicine, doesn't seem like a nutbar. In fact, he seems like he knows what he is talking about. Could it be that the GOP are not telling us the truth? Could it be that the GOP don't know what they are talking about? The Incidental Economist? The Commonwealth Fund? Never heard of them. But in the References section below, I discover that these sources of information are legitimate and respected. You all wanted to know what makes our health care system so expensive. You all want to know where the money is going. Obamacare is going to bankrupt the United States? The current health care system is going to bankrupt the United States! Leaving the health of the nation in the hands of private industry means that profit comes before health. Being healthy is no longer a right of every citizen; it is now the privilege of those who can afford it. In June 2012, in my posting "Obamacare: Congratulations on doing the right thing, America! ", I wrote about how the U.S. needed this change in its health care system, that health should be a right. 50 million Americans are uninsured and I pointed out the following. I remember posting the above stat and somebody tweeted back: "I don't believe in that liberal BS." There's the problem. Does your average voter know what's going on? Do voters see the big picture? If you're a Republican, is your party objectively looking at the facts or are they merely sticking to their ideology? Health shouldn't be a privilege; it should be a right. A healthy nation is a productive nation. But what to do about any of this? After all, I am but one person and what can one person do? Vote Democrat? Support Obamacare? Demand that Republicans look at these numbers? I repeat: being healthy should be your right. John Michael Green (born August 24, 1977) is an American writer of young adult fiction and a YouTube vlogger and educator. He won the 2006 Printz Award for his debut novel, Looking for Alaska, and reached number one on a New York Times Best Seller list with The Fault in Our Stars in January 2012. VlogBrothers is a video blog style channel on YouTube. The Internet-based show is created and hosted by brothers, John Green and Hank Green. The first incarnation of the brothers' online broadcasting was the "Brotherhood 2.0" project, preceding the establishment of the pair's regular vlogging activity through the VlogBrothers channel. William Henry "Hank" Green ll (born 5 May 1980) is an American entrepreneur, musician, and vlogger. He is best known for his YouTube channel Vlogbrothers where he regularly uploads videos along with his brother, John Green. He is also the creator of the online environmental technology blog EcoGeek, and the developer of Subbable. He is involved with several other channels on YouTube, including Crash Course, SciShow, The Lizzie Bennet Diaries,The Brain Scoop, and Sexplanations. The Incidental Economist is a blog focused on economics, U.S. health policy, politics, and law, though posts in other areas are common. It was founded in 2009 by Austin Frakt, a health economist and Boston University assistant professor. Austin has been joined by Aaron Carroll, associate professor of Pediatrics and health services researcher at Indiana University School of Medicine, and Don Taylor, associate professor of Public Policy at Duke University, as the blog's principal authors. The Commonwealth Fund is a private U.S. foundation whose stated purpose is to "promote a high performing health care system that achieves better access, improved quality, and greater efficiency, particularly for society's most vulnerable" and the elderly. It is active in a number of areas related to health care and health policy. It is currently led by David Blumenthal, M.D. I love when you go all Canadian on our American asses! As my divorce progresses, I'm faced with losing my (husband) employer-sponsored health insurance. I'm running around like a madwoman to get tests and procedures done before the divorce is final...because in the US staying healthy is most emphatically not a right of all citizens. I effing love Obamacare. It's the only way I'm going to be able to see a doctor for quite some time!